Maternal Mental Health Matters Week runs from 30th April - 6th May 2018, with World Maternal Mental Health Day falling on Wednesday 2nd May 2018. The aim of Maternal Mental Health Matters Week is to is to raise awareness about how mental health issues effect mums, dads & families during pregnancy and into parenthood and to promote the help, support & information that is available for people who experience mental health issues during pregnancy or after your baby is born. 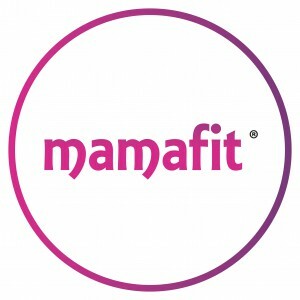 Here at Mamafit® we support pregnant women & mums to be fit, healthy & active; improving physical & mental health, not only through exercise, but also by bringing women together to form friendships, reduce social isolation and encourage new & expectant mums to prioritise themselves and regularly indulge in 'ME time' which can help boost their mental wellbeing. During the Maternal Mental Health Matters Week we are supporting the campaign by encouraging mums and mums to be to share their experiences and talk about how being physically active has helped them with their mental health. Holly, who is 31 weeks pregnant and recently attended Mamafit Pregnancy at Liverpool Women's Hospital, talks about her experience with mental health during pregnancy, discuss's how exercise has helped her to feel more positive and happier. "My anxiety with my pregnancy really began when i miscarried my first, we called them Groot (from Guardians of the Galaxy). I had pinpointed all the events that year and how far along I would be. Each event that followed losing Groot was a knife to the chest. They were all I could think about and how much I felt like me and my body had failed. The thought of trying again seemed terrifying as I could not even think about going through that loss again. Luckily I got myself ready to try again and later in the year we found out we were pregnant again. I was so happy and so grateful for being pregnant. It felt like the only thing I ever wanted and could have wished for. I was incredibly happy but i was incredibly anxious about everything. The thought of miscarrying again kept going round in my head. 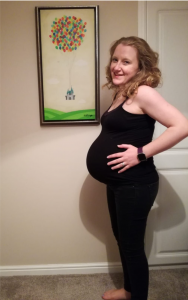 We were offered a scan at 6 weeks, which we were so thankful for as we were both so anxious and really needed some reassurance to know that we can begin to think about relaxing knowing there was a heartbeat. After that, my first trimester was gorgeous, I felt very tired and had all day nausea, but was only sick once. I was filled with happiness with our news. we had our little Hei Hei (from Moana). The overwhelming feelings really came back after our 12 week scan and I started to feel completely drained and couldn’t hide it. I pretended I was fine as I didn’t want to complain. I felt like I was so lucky to be pregnant again that I had no right to moan or be negative. It felt incredibly lonely to keep my feelings in. I also didn’t realise how i was feeling until it was too late and I would be uncontrollably crying. I felt incredible guilt and would have comments made to me if I said anything like; I felt tired or I wasn’t coping very well that day, “well you chose motherhood” being one of the comments made that really hit me. Just because my pregnancy was planned, it doesn’t mean I can’t have off days or struggle through the fog of those low days, there was always happiness, but sometimes it was difficult for me to see it. After loss it is extremely difficult to see the finish line. Where is that finish line? Will it be happy this time? You are hoping so much that it will be different to last time, it can feel incredibly emotional and overwhelming. I couldn’t even look at outfits, consider buying a pram or even think about labour. 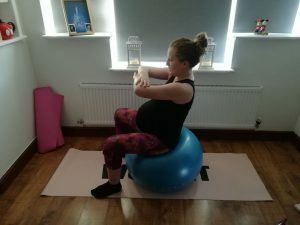 In week 22, I began putting things into place to get myself into a better state of wellbeing and signed up for a 6 week Mamafit Pregnancy course, which looked like it was something me and Hei Hei really needed. We learnt lots of pregnancy exercises which we could do at home, tips on healthy eating and learnt how to look after ourselves and spot when we needed some 'ME time'. Before pregnancy I loved exercising, I would do circuits at home, run and practice yoga. I was always very passionate about keeping in shape and I found that always gave me a mood boost too, however, with this pregnancy I was so scared to miscarry again I avoided any exercise, as I was convinced I would do something wrong and we would lose Hei Hei. With the help of the course, I have been able to confidently introduce exercises back into my life and it has made me so much happier! If I’m having a low day I plan out my next workout or scheduled an exercise session for later that day. Some people have negatively commented about the fact I’m exercising and maintaining healthy eating habits while pregnant, but i am confident the exercises are safe for pregnancy and I know that the choices I make are the best for me and Hei Hei. As well as exercise to boost my mood, I also plan fun things which I love to do. I now bake on the weekends - which my partner is fully enjoying! I prioritise time to listen to my favourite music, watch films, take baths and I have a diary, which i write to Hei Hei in. At 31 weeks, even though i still have overwhelming moments, I have made some huge steps! This week we have ordered our pram, got some first outfits for Hei Hei and even packed our hospital bags! All these things used to make me feel anxious, so i would put them off, get upset and think what happens if we aren’t lucky this time. I feel that keeping myself active has really helped me feel more positive and happier about everything and has got me to where i am today. I have decided to choose happiness and try to enjoy the last stages of pregnancy, which can seem very overwhelming at times, as best I can. Hei Hei needs me to be happy and positive so that is what I work hard for every day. Not every day is positive, and sometimes I just want to cry and not leave the house, but I try my best and for that, I am really proud of myself. I am so scared, so excited, so grieved, but so so so happy all at the same time and that’s okay." Thank you to Holly for sharing her experiences and thoughts on mental health during pregnancy, speaking out and getting help initially can often feel very daunting but it is important to seek help sooner rather than later. Talking to somebody such as your midwife, GP or health visitor takes courage but is the first step to feeling better. 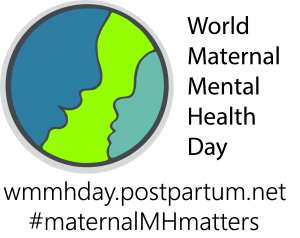 Visit the Perinatal Mental Health Partnership's facebook page to find out what going on near you. Search #MaternalMHMatters on social media to join in the conversation, share you experiences and see what others are posting. Most importantly of all if you don't feel like yourself or you feel you need some help, don't bottle it up speak to your partner, a friend, family member or a health professional there is always help out there and lots of support, even if you feel like there isn't.